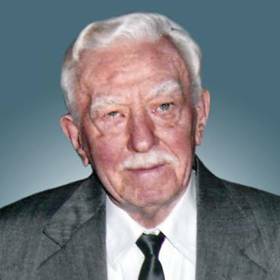 Jerome J. Groulik, age 88, passed away Wednesday, July 20, 2016 at the Elizabeth Gardens. Jerome was born in Caledonia, May 29, 1928, son of the late John and Anna (Nee: Lukas) Groulik. 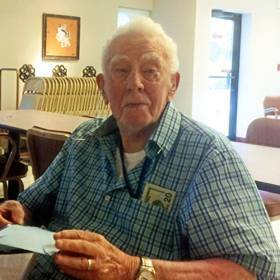 Jerry proudly served as a Corporal in the U.S. Army during the Korean War from 1950-1952. In 1964 he was married to Lillian Mintler-Simon who passed away in 1973. Jerry was a machinist working for Hamilton Beach and Precision Machine and Grind retiring in 1991. On April 19, 1974, he married Marion C. Sura at St. John Nepomuk Catholic Church who preceded him in death, January 12, 2016. Jerry enjoyed rebuilding cars -his specialty was the 1966 Mustang. 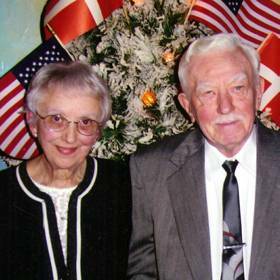 He and Marion had many adventures together as they purchased and renovated a downtown building, enjoyed going to car shows and antiquing. 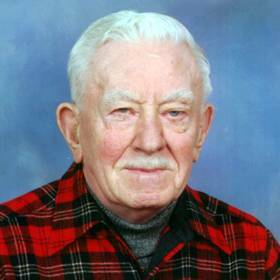 Jerry also enjoyed woodworking- he provided many pieces of furniture for family and friends, restoring boats, photography, and playing the harmonica. He will be dearly missed. Jerry is survived by his brother-in-laws, Donald (Jeanne) Sura, James Sura, (Janet); many nieces, nephews, grand nieces and nephews, other relatives and many dear friends. 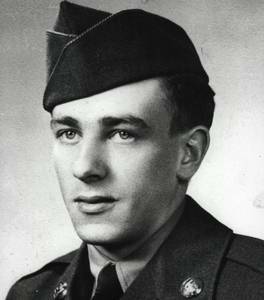 In addition to his parents and wives he was preceded in death by his siblings, Mary (Alex) Josepowitz, Frank and Stanley Groulik; father-in-law and mother-in-law, George and May (Nee: Flanigan) Sura; brothers-in-law and sister-in-law, Richard (Nancy) Sura and Robert Sura; nephews, Donald G. Sura Jr and Allan Bushey; special friends, Bill Geb and Bonnie Houdek. A Mass of Christian Burial will be celebrated Tuesday, July 26, 2016, 11:00 A.M. at St. John Nepomuk Catholic Church, 1903 Green Street, with Rev. Steve Varghese officiating. Interment with full military honors will follow at Calvary Cemetery. Relatives and friends may meet with the family Tuesday at the church 10:00 A.M. until time of Mass. Memorials to St. John Nepomuk Catholic Church, Wisconsin Honor Flight for Korean Veterans or the Elizabeth Gardens Activity Department have been suggested. Thank you to all his family and friends for making his life more fun to enjoy. He’s going to sit on a bench with his sweet Marion and play his harmonica! Love ya “Uncle Jerry” Rest in Peace! !